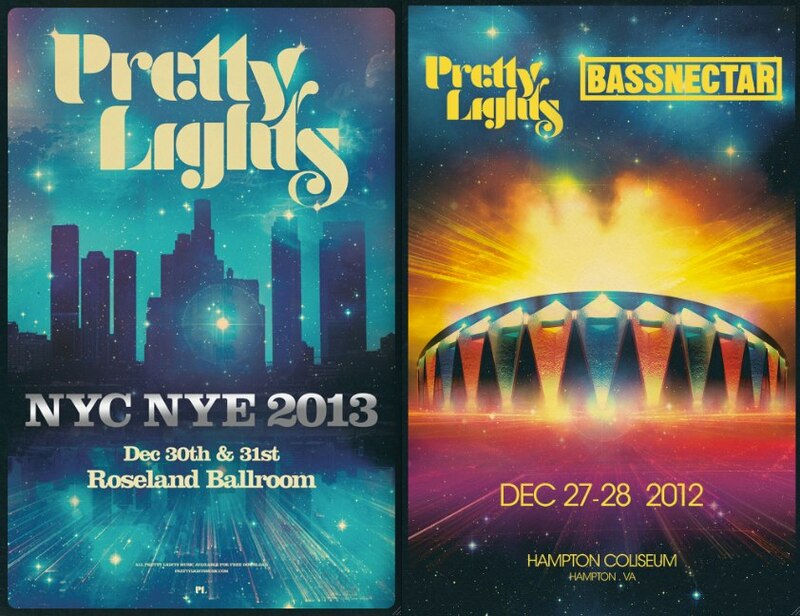 Earlier today Pretty Lights and Bassnectar both announced their highly anticipated NYE plans. On December 28th and 29th they will be playing a show together as “Bass Lights” in Hampton, VA. Pretty Lights will then move up the coast to NYC to perform at the Roseland Ballroom on the 30th and 31st. The glitch-hop artist posted on his FB that he is “taking it back to a more intimate vibe for NYE in NYC this year. Both nights will feature extended PL sets, so you’ll get hours of classics, bangers and new, unreleased tracks in a more intimate setting in one of the world’s most amazing cities”. No true fan of his should miss this opportunity! Tickets for these shows will be on sale soon! Oh, and if you haven’t done so already make sure to purchase your Pretty Lights’ ticket for the BJC on October 30th. It’s definitely a show you do not want to miss!